Most of the Amazon forest is in Brazil and 20% of it has been lost to deforestation since the 1970s, an area bigger than France. When trees are cut down, the carbon stored inside them is released into the atmosphere. The remaining forest also absorbs less carbon dioxide. 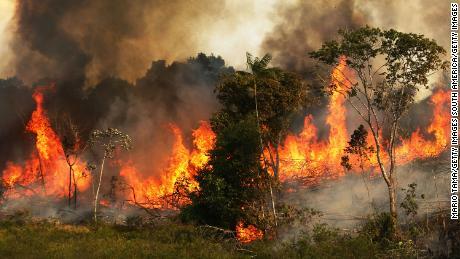 That means the health of the Amazon has a direct effect on global warming. The forest is being cut down to make way for activities like cattle ranching, soy bean farming, mining, hydropower dams and new highways. Deforestation fell dramatically between 2004 and 2012, but in recent years it has been increasing, and the powerful agricultural lobby in the Brazilian congress is pushing for more development of the forest. It endorsed Bolsonaro during his election campaign. Brazil’s Ministry of Agriculture is heavily influenced by the agricultural lobby. Soon after taking office this week, Bolsonaro signed an executive order giving the ministry responsibility for certifying indigenous lands as protected territories. To remove any designated indigenous land would require the support of Brazil’s congress, which is already considering a series of bills aimed at opening indigenous land to activities such as mining. 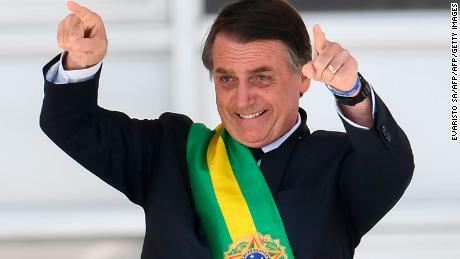 Bolsonaro has changed his mind on a campaign pledge to combine the environment and agriculture ministries — to the relief of environmentalists. But he named Tereza Cristina as his new minister of agriculture. 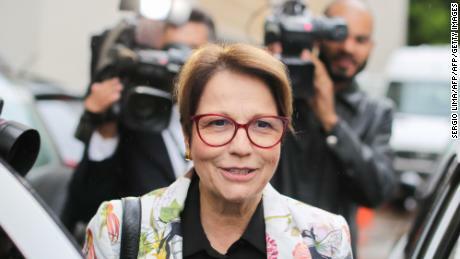 She led the agricultural lobby in congress and has said Brazil must end its “industry of fines” for environmental infractions — echoing Bolsonaro’s criticism of the Ministry of the Environment during his campaign. “Unfounded accusations are coming from all sides, including international organizations which have amicably established themselves in our country,” Cristina said during an event at the Ministry of Agriculture this week. 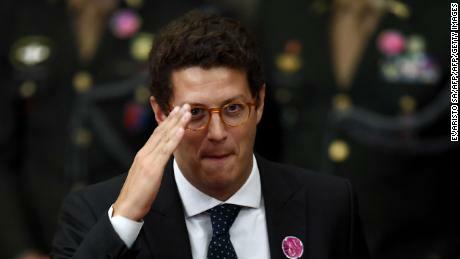 In December, Bolsonaro named Ricardo Salles as his environment minister. Days later, a judge in a civil action found Salles guilty of “administrative impropriety” while he was environment secretary for Sao Paulo state, in 2016. The judge found Salles guilty of altering maps in an environmental protection plan to benefit mining companies. The judge ordered Salles to pay a substantial fine and suspended his right to stand for office for three years. Salles said he would appeal the ruling and was sworn in as environment minister this week. 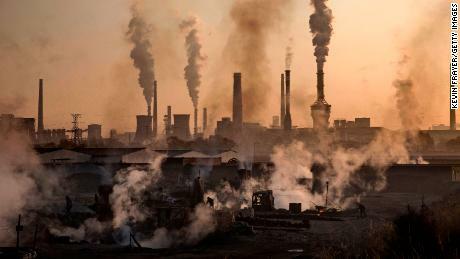 Last November, Brazil’s foreign ministry withdrew its offer to host the COP 25 UN climate conference — the meeting tasked with moving forward the Paris Agreement, where countries committed to limiting global warming — citing “fiscal and budgetary restrictions” as the main reason, Agencia Brasil reported. “It’s a bad decision to not host the climate meeting (COP 25),” said Veríssimo, adding that it shows the government wants to avoid international scrutiny on climate change. That has concerned human rights groups in Brazil and beyond, and environmental groups fear their work could be made much more difficult under Bolsonaro. If environmentalists find it harder to operate, that could mean less oversight of development in the Amazon. And given the forest’s importance to fighting global warming, that could have an impact far beyond the country’s borders. A University of Leeds study estimated that since 1980, the Amazon has absorbed roughly 430 million tonnes of carbon per year — more than four times the UK’s annual carbon emissions.